First recorded by Willy Ley in his 1941 “romantic zoology” book, “The Lungfish and the Unicorn”, the Ground Shark is said to primarily reside within the 235,000sq mi Timor Sea along the north coast of Australia. Believed to slightly resemble a Great White in appearance, it dwarfs its rival in sheer overall size. 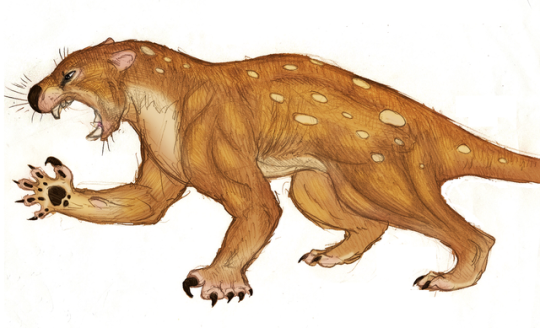 Thylacoleo carnifex, more commonly known as the Marsupial Lion, is an extinct carnivorous tree dwelling marsupial that called the Australian outback home during the late Pleistocene era. The giant mammal was the largest carnivore to ever exist in Australia and is thought to be one of the largest marsupials to exist anywhere in the world.